Matthew Donnelly on his way to scoring Tyrone's second goal. 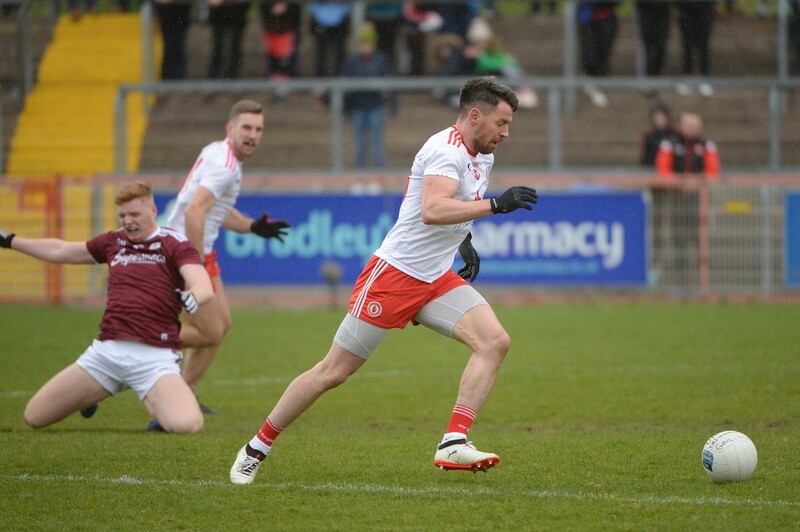 Tyrone produced a fabulous second half display to overturn a seven point half-time deficit to beat Galway in an exciting game in Omagh. Despite missing out on a League Final engagement at Croke Park next Sunday, manager Mickey Harte was pleased with the performance and how his charges have bounced back to win four in a row after defeat in their first three outings. Second half goals from Peter Harte (penalty), captain Matthew Donnelly and sub Conall McCann enabled them to claim a stirring victory after going in seven points in arrear at the interval. While Harte refused to get too carried away, he felt that there was an over-reaction in some quarters to their sluggish start to the league. “After the first three games things didn’t look pretty and we didn’t think that was reflective of how good this team can be. “The next four games after that proves that we were right to think that there is something good in this team. “They couldn’t be in the All-Ireland final a few short months ago and be as poor as some people would have suggested after three games. While captain Donnelly was the official man of the match, chipping in with a goal and four points, Harte reserved special praise for Kieran McGeary who did a tremendous man-marking job on Shane Walsh in the second half. “Kieran is a very good man-marker, he’s good for a dedicated task. “He had the help of the breeze in the second half so Shane hadn’t as much to play with as he had in the first half, so you couldn’t exactly say it was just the one thing caused the other. “But Kieran’s deployment on him negated him to a certain extent but, again, he was playing against the breeze, there wasn’t as much ball available to him and it wasn’t as easy to kick points from 30, 40, 50 and even 60 yards as he did. 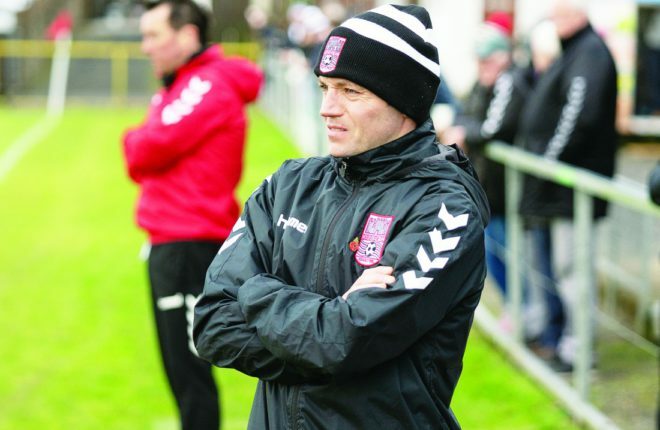 Unfortunately a fourth league victory on the spin wasn’t sufficient to earn them a League Final slot but the Tyrone players will head back to their clubs in fine fettle.